Kessler vs. Bouadia: Does Mikkel have enough left to win this? By Eric Thomas: Former WBA/WBC super middleweight champion Mikkel Kessler (43-2, 32 KO’s) faces Mehdi Bouadia (22-3, 10 KO’s) this coming Saturday on June 4th in what’s supposed to be a tune-up fight for Kessler to get some of the rust off after taking an entire year off from boxing when Kessler pulled out of the Super Six tournament fight due to an eye problem. By pulling out of the tourney, Kessler missed out on big paydays and will now be looking to restart his career against a decent fringe contender in the 29-year-old Bouadia. On paper, this seems like a case where Kessler will have far too much skills and ability for Bouadia. However, with the time off from boxing and the wear and tear that Kessler was already beginning to show in his last three fights, we could see Bouadia possibly pull off an upset. The thing that will make it hard for Bouadia, though, is that he lacks good hand speed and power. He’s not a big puncher and looks more like a European level fighter rather than someone that deserves to be ranked in the top 20. But we’re also talking about a fighter who will be very up for this fight because it will be easily the biggest fight of his career. He’s taking on a rusty fighter in Kessler and when you start to show ring wear and have taken off a long period of time like Kessler, anything is possible. Kessler wants to face IBF super middleweight champion Lucian Bute. The Bouadia fight is really a gauge for Kessler and his management to see where he’s at before throwing him in with Bute in a sink or swim fight. Kessler may need several quality tune-up fights before he’s ready for a quality fighter like Bute. 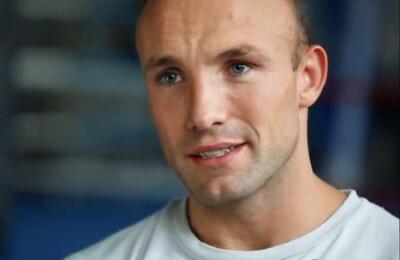 Boxing » Mikkel Kessler » Kessler vs. Bouadia: Does Mikkel have enough left to win this?